While purging some older photos, I came across a bunch of images I never got around to processing from a trip last October to Mammoth Lakes. Including the above of Skelton Lake, easily reachable on the Duck Pass Trail from the parking lot at the top of the Coldwater Campground. The colors are certainly nice -- Bloody Mountain always looks great late in the day. But the reason this photo works isn't because of the colors or entirely the scenery. It's because of the shapes and composition. The way the frame is divided between sky, mountain and lake is pleasing to the eye. Camera, Settings & Processing: Nikon D5100, Nikon DX 10-24 wide angle lens at 24mm, ISO 400, 1/100th shutter, f/5. Shot in RAW and processed in Lightroom 4, using some of the tools that are part of the VSCO slide film preset pack. Love the above photo? Buy a print! My prints are through SmugMug (very good quality) and are priced very modestly. 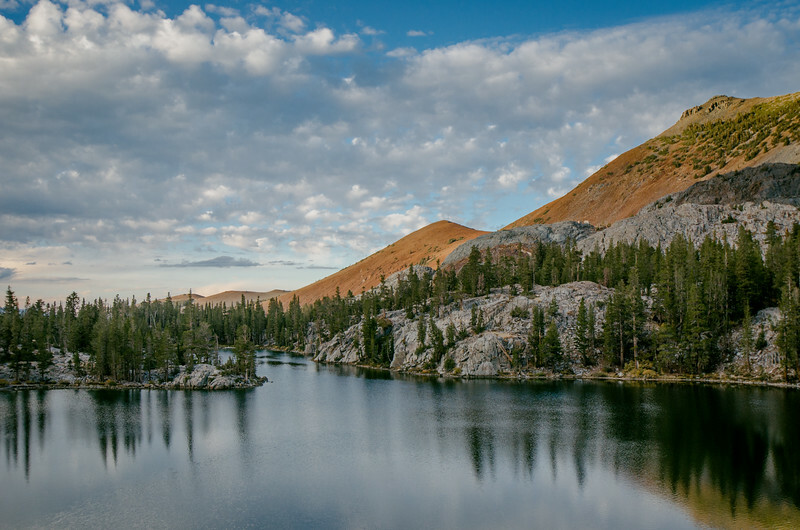 Hey, a print may make a nice gift for the Eastern Sierra lover in your life (or lover who likes the Eastern Sierra; you get the idea). Digital licenses are also available. Questions? Email me.